Simple vegetarian, nutritious and tasty home style recipes. 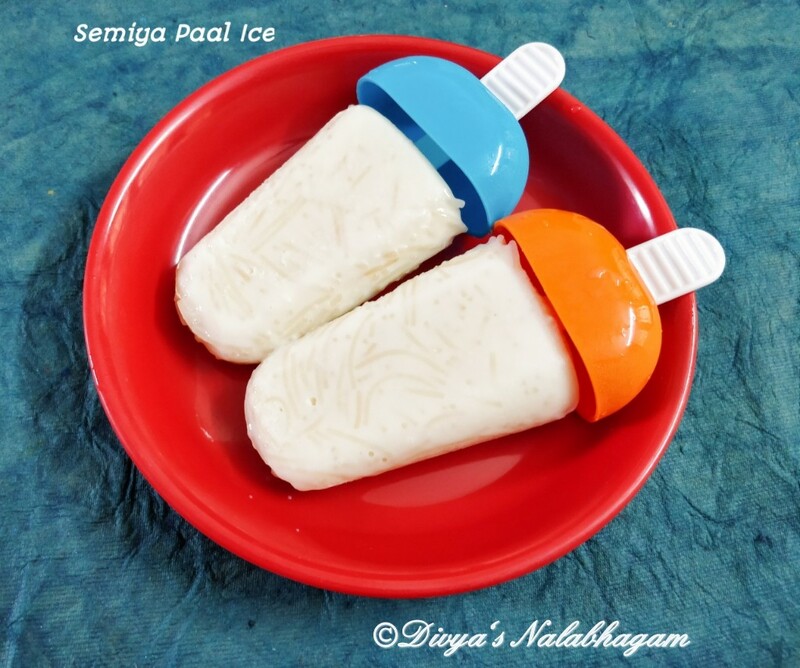 Semiya Paal Ice is a yummy ,traditional, easy to make icecream popsicle variety.It is made by cooking vermicelli in milk along with sugar.Then it is cooled n poured in popsicle mould and allowed to set. 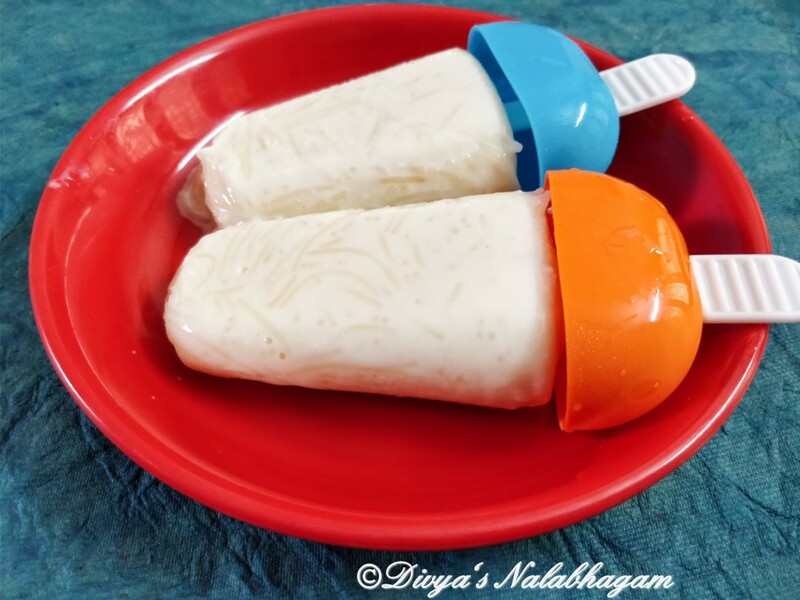 It is super easy to prepare and tastes absolutely delicious .Try out this semiya paal ice / vermicelli popsicle recipe this summer and enjoy . 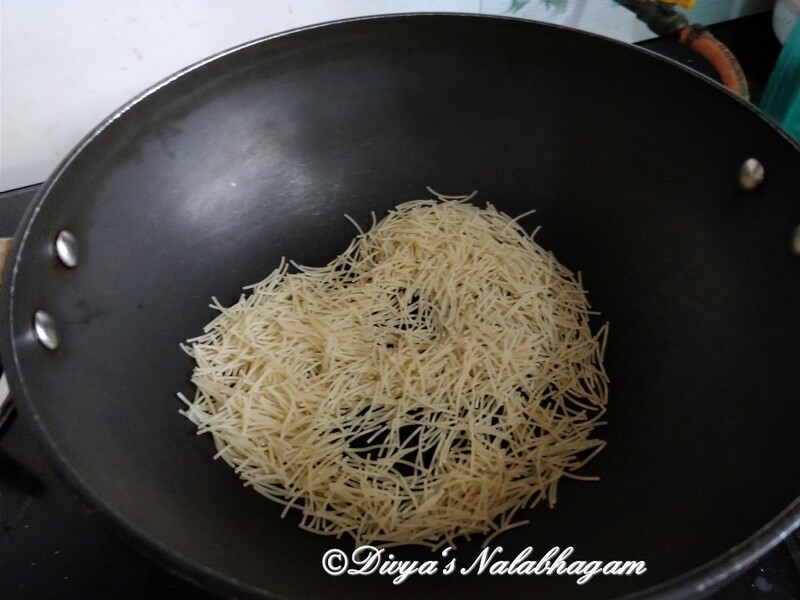 Dry roast the semiya/ vermicelli until light golden brown. 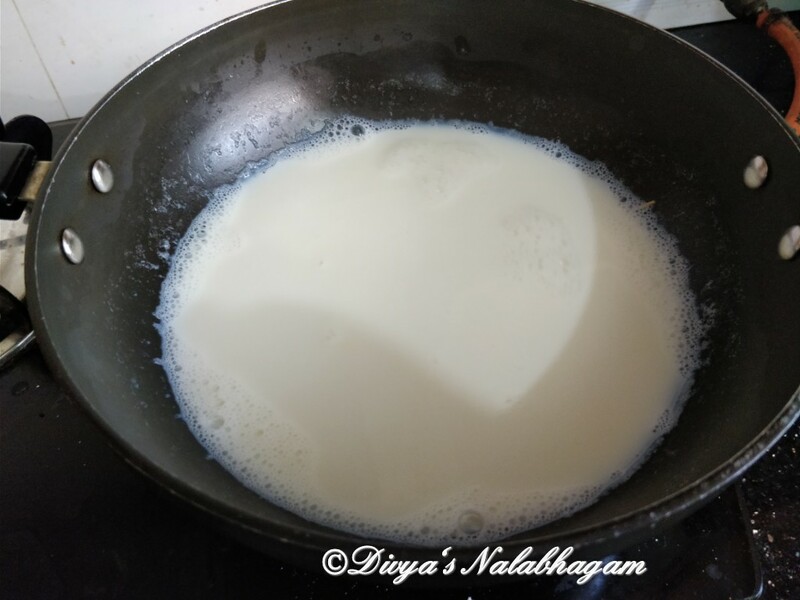 To this add milk and allow the semiya to cook well. 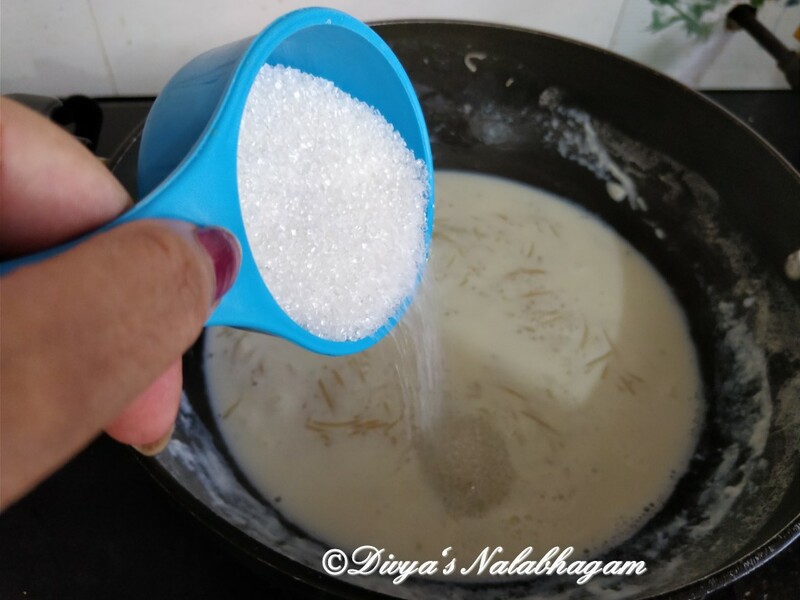 Once the semiya is cooked add the sugar and a pinch of salt mix well. 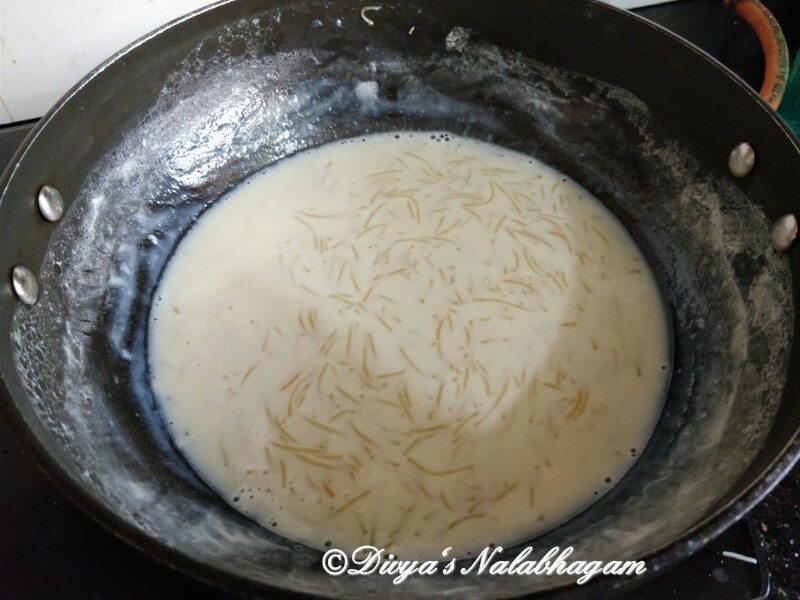 Add vanilla essence or cardamom powder mix well and cook until the mixture thickens slightly.Remove from fire and allow it to cool completely. 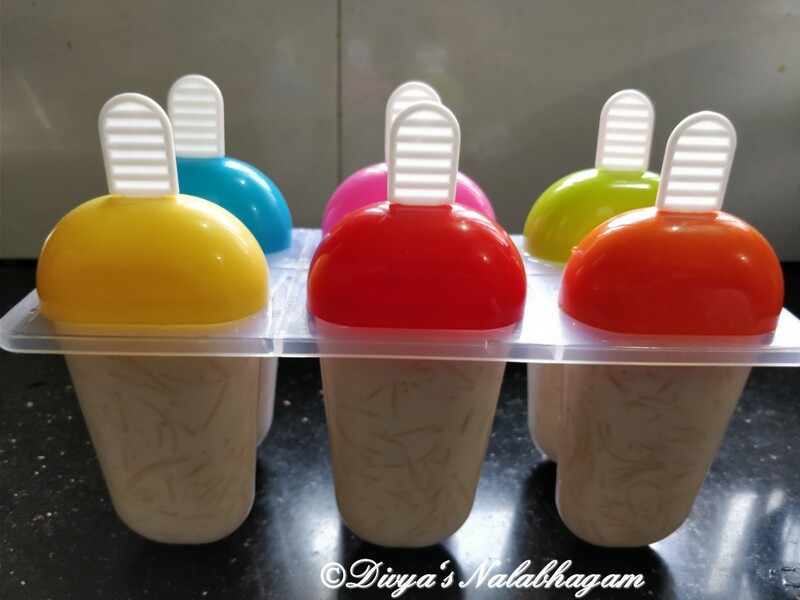 Pour the mixture into icecream popsicle mould close with its lid . Keep in freezer and allow it to set for 8 hours or overnight. Once set gently show the moulds under running water to demould it or remove from freezer and set aside undisturbed for 4-5 mins before demoulding. you can add half condensed milk along with milk too.Reduce the sugar if using condensed milk.